Four events won gold and freshman Jalyssa Blazek was part of all them, winning both the 800-meter and 3000-meter runs, and anchoring both the distance medley and 4x400 relays. Blazek’s successful night began by winning the 3000-meter run in 11:42.70. She later claimed the 800-meter crown in 2:36.45. Kara Reicks, Karissa Schmidt, Kourtney Schmidt and Blazek took the distance medley gold in 4:41.92. In the final race of the evening, the freshman combined with Cambree Kruse, Josie Weber and Ko. Schmidt in the 4x400 for the win. The quartet produced a tie of 4:31.77. Kalvin Langreck and Elliott Dietzenbach had the Trojan boys’ best finishes, taking silver in their respective events. Langreck cleared the high jump bar at 5 feet, three inches, while Dietzenbach raced to the finish line in 2:17.80 in the 800-meter run. Two events finished the night in third place. Ethan Leibold launched the discus 111 feet, 1 inch to claim his bronze medal. The 4x800 of Seth Huinker, Kade Kruse, Eli Nymeyer and Dietzenbach took third in 9:04.91. 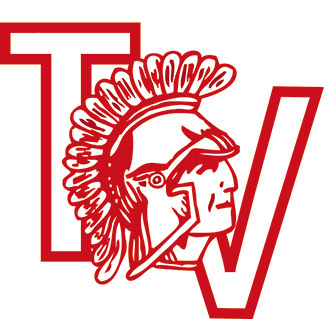 Tuesday, April 16, the Turkey Valley boys’ squad will be at Charles City at 5 p.m.